Daisy prints have been popping up in stores everywhere this spring, so for this week’s Fabulous Find, we picked an adorable and affordable tank top in the popular print. 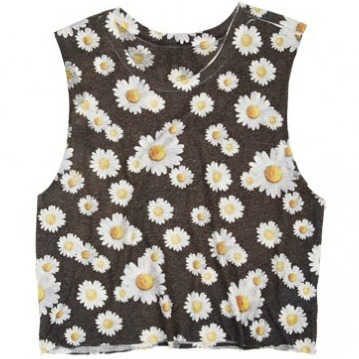 This Delia’s top features white daisies on a black background, and has a really cool ’90s-inspired vibe. Dress down this top for a day of classes by pairing it with trendy pastel jeans and chic two-toned sandals. Grab a sturdy leather satchel and accessorize with a delicate layered necklace. For the finishing touch, paint your nails a bold shade of pink. This next outfit is perfect for a music festival or any other outdoor activity. Start by pairing the tank with high-waisted acid wash shorts. 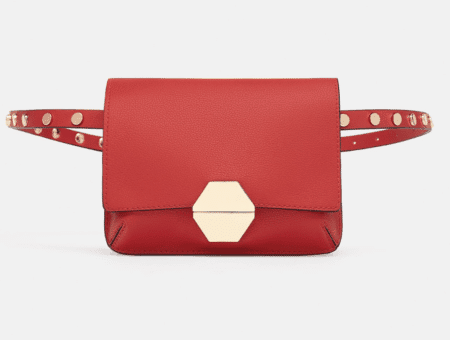 Dotted sneakers are a fun yet practical choice, while a green cross-body bag adds a pretty pop of color. Accessorize with mixed metal rings, then slip on a pair of rounded cat-eye sunglasses to complete the look. For a night out, try wearing this daisy print top with an on-trend asymmetrical wrap skirt. Strappy black wedges add a comfy boost of height, while this see-through clutch is the epitome of cool. 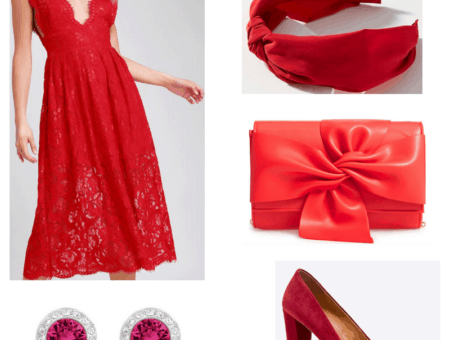 Put on a pair of edgy hoops, then apply a bright coral lip color to finish up this bold nighttime ensemble. What do you think of this week’s Fabulous Find? Would you buy this Delia’s tank? Which look is your favorite? How would you wear a daisy print top? Remember to leave a comment below and tell us what you think!